2018-05-25: The UK FCA has issued an unauthorized firm warning against GetFinancial.com and Get-Financial.com. CLICK HERE to verify. December 2017-February 2018: Multiple highly suspicious and fake positive reviews submitted for Get Financial. Website is down. Company seems to be out of business. GetFinancial is a forex broker. 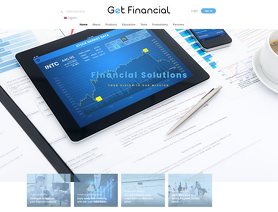 Get Financial offers the GetFinancial trading currency platforms. 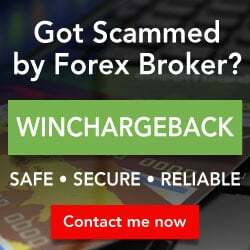 GetFinancial.com offers over 5 currency pairs, bitcoin, indices, stocks, commodities and cfds for your personal investment and trading options. Translated to english by google translator (sorry but you will understand). Astroro Investments Limited is probably only the managing company with registration in Cyprus, I could not find a website. On 19.10.2018 I registered with KontoFX (a financial service provider / with similar problems). Approximately 2 hours later I was called by a Mrs. Klara Hauber of Get Financial. After a lot of back and forth, I was persuaded to register and transfer $ 500. Unfortunately, only then did I begin to learn about Get Financial and realize that my money is not safe. On 25/10/2018, I applied for a repayment for the first time, while the account was not traded. Several attempts to reach the support were unsuccessful. Approximately on 06.11.2018 I received a call from an employee. However, this employee initially wanted me to pay more money. After eternal discussion in which the sound was already rude, I was promised to pay back the money. After several attempts to reach the support I sent an email to Mrs. Klara Hauber on 14.12.2018 that I want to have my money back. She actually called and again we had an eternal discussion why I want my money back. Finally I should confirm my bank account again. Mrs. Hauber requested my personal login details to my bank account. When I did not want to give it, I was threatened that I would not get my money back. So I gave my data, then I was promised to transfer the money. Then I called to my bank to change my data. After this phone call, a colleague of Mrs. Hauber has called me to beg as intrusively that I take the pay back. Not an hour later, Mrs. Hauber on WhatsApp annoying and has begging, that I should leave further my money at Get Financial. Eventually, she promised to transfer the money. Today, 20/12/2018, my money is still on the Get Financial account. Overall, I consider the behavior of Get Financial and Mrs Klara Hauber to be criminal. 1. Before You transferring money check if this company is registered with a European Financial Supervisory Authority. And I want to exclude Cyprus. 2. If you have registered with one financial service provider and you are being called by another person: make a note that there are companies that are not registered and have their business address in a tax haven (criminal paradise). And try to get your money back from the financial services provider where you signed up. He probably was the one who passed on your phone number, proving his unreliability. Overall, forex and CFD trading is an interesting thing. Be aware, however, that you may have losses (so do not play with the hard-earned holiday fund). I asked my initial deposit back because I got to Getfinancial in some strange way (the lady per phone asked mu CC data and I was stupid enough to give them and after that - in the moment - I got DOD to sign in net!). They answered it was OK and I'll get my 250 back. Since then nothing! Getfinancial - and ERROR or FORBIDDEN! Sep7 - Sep13. Fake and Fraud!